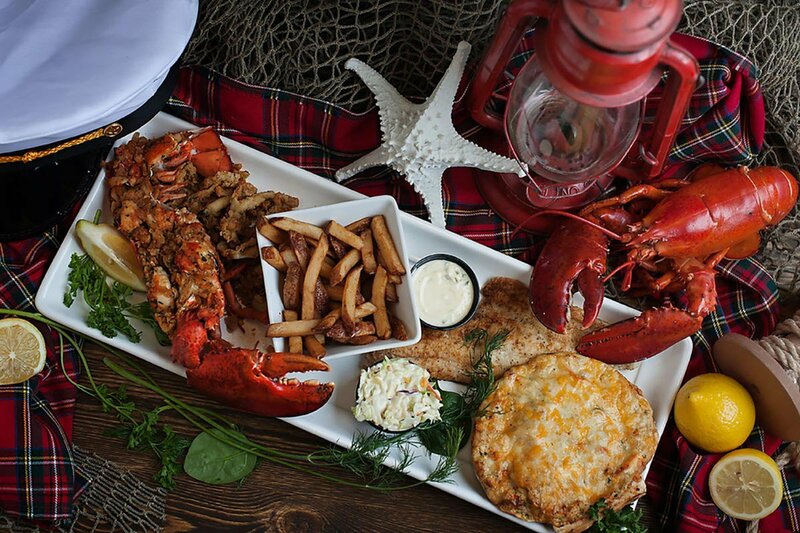 If you haven't eaten lobster in Nova Scotia, can you say you've really eaten lobster? Gentedimontagna contributor and cook Tess Falotico hopped on board a fishing boat on the icy Atlantic to find out. NOVA SCOTIA - It’s a bone-chilling February morning off Canada’s Atlantic Coast. We’re on a seventeen-foot fishing boat. Bearded, rosy-cheeked fishermen in coveralls and gloves haul traps aboard. They joke with one another as the civilians snap photos. I, on the other hand, am just trying not to throw up. Why would a person prone to seasickness board a rollicking fishing boat off the Atlantic in the dead of winter? For the sake of lobster. “Too small,” says fisherman Brad Crouse, holding up a young lobster. He tosses it into the ocean. “She’s marked,” he says, holding up a female who has been marked by a previous captor to indicate that she’s capable of laying eggs. According to local rules, Brad has to throw her back, too. “This one will do,” he says, holding up a one-and-a-half-pound lobster fit to sell. He drops the trap into the water and takes the helm, and we’re off to the next one. Each is marked by a colorful buoy bobbing at the surface. 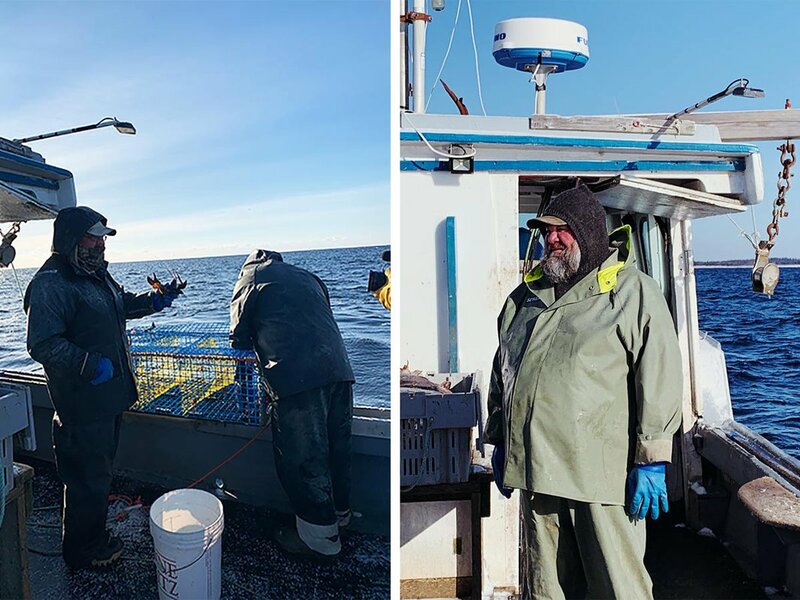 When we dock, I get off the boat — a little frozen, a little green, and a lot more appreciative of the grueling work that goes into catching lobster. 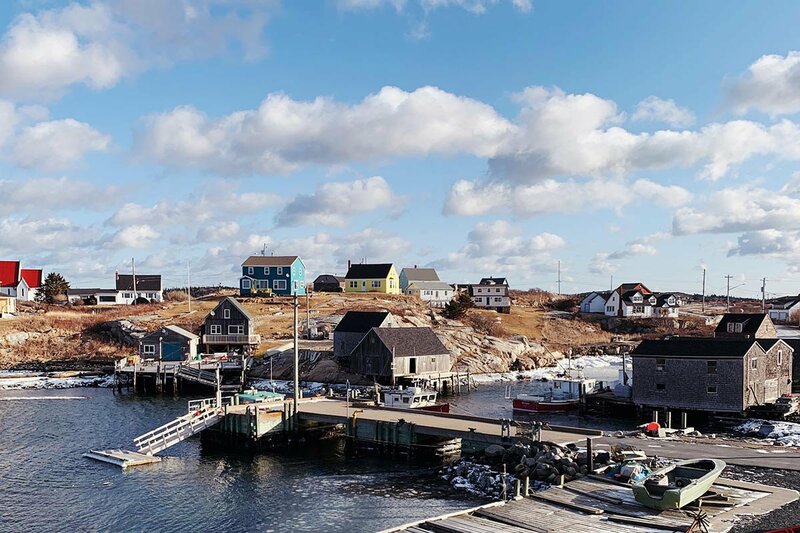 The fishing trip is one stop on an otherwise easygoing road trip along Nova Scotia’s southern coast. Winter is lobster season, and I’m here to eat the freshest crustaceans and to see how locals celebrate the region’s top export. Lobster fishing. Captain Brad looking strong. Fishing house in Peggy's cove. For me, the lobster crawl began last night when I arrived late in Halifax, with a bag of limited-edition, Atlantic Lobster-flavored chips from New Brunswick-based snack company . I ate them overlooking the harbor from a h king-sized bed at — the midnight snack of champions. This morning, I’m at the most-photographed place in Canada, Peggy's Cove. 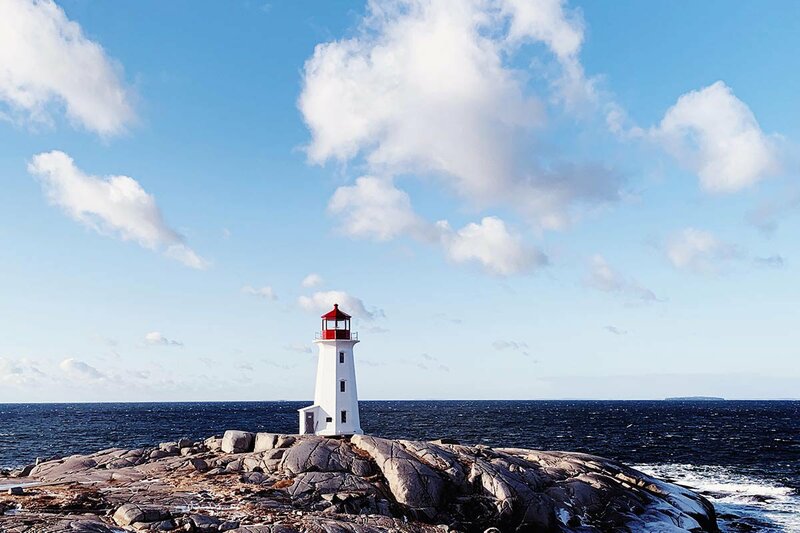 Wes Anderson himself couldn’t have designed a quainter spot, with its colorful fishing shacks and charming, red-and-white lighthouse. There's a chill coming off the ocean and my frozen fingers can only stand to snap a few photos before I jump back in the car. I dig my gloves out of my suitcase on the way to Lunenburg, a fishing town and UNESCO World Heritage site. I’m here to meet tour guide , an eighth-generation resident with an encyclopedic knowledge of her hometown. Her office is, fittingly, a Victorian mansion that, until just a few years ago, served as the local school. The historic building sits at the top of a hill which runs down to the harbor. We work our way down, past rows of colorful, 19th-century houses, through the spectacular Lutheran and Anglican churches, to the harbor-side streets lined with shops and restaurants. 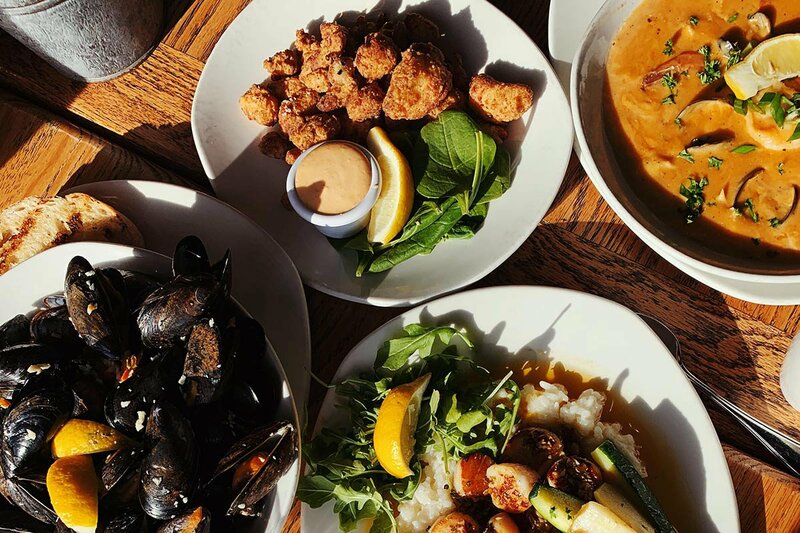 The history lesson ends at , purveyors of local seafood dishes like seared scallops with risotto and creamy, Cajun-spiced stew of haddock, shrimp, scallops, and mussels. The restaurant is best known for the Lunenburger, a tower of local beef, mozzarella, bacon, spinach, and lobster, doused in tarragon butter, sandwiched on a homemade bun, and topped with a bacon-wrapped scallop. Grand Banker’s ever-rotating list of local beers calls my name, but I’m saving my afternoon boozing for up the road. In a 19th-century building that once housed a blacksmith’s shop, Pierre Guevremont and Lynne Mackay produce delicate, flavorful spirits. The pair before pouring tastes of apple brandy, pear eau de vie, and rum, which they barrel-age on a boat anchored in the Lunenburg harbor. By the time I check in at the modern, oceanfront in Summerville, I’m ready to crash. But not before checking out the restaurant, a modern space with huge oceanfront windows, decorated with colorful lobster traps that have been refashioned into light fixtures. Creamy seafood pasta and a glass of sweet, effervescent hit the spot. Infamous Captain Kat's. Photo courtesy of Captain Kat's. Barrington is a fishing town, through and through, and an easy day trip from the Quarterdeck. 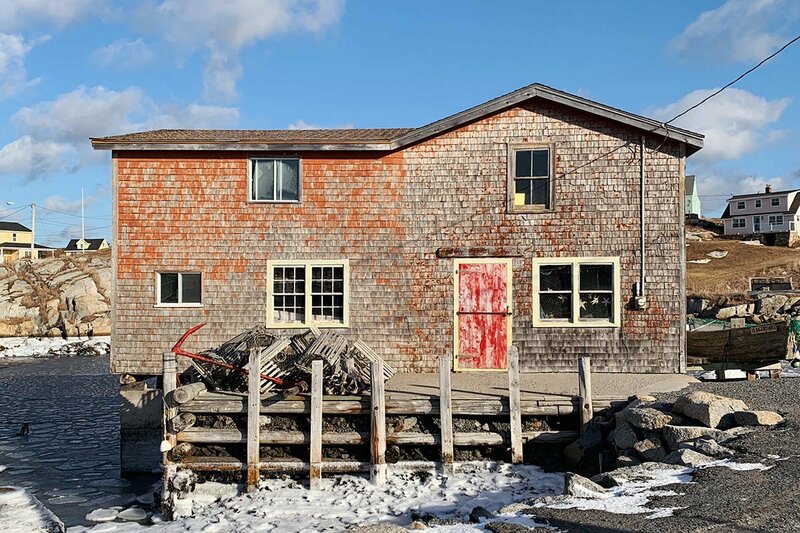 There are photo ops galore and if you're curious to see where ten million pounds of live lobsters per year are handled before being shipped off to markets in the U.S., Europe, and China. I snap photos and get an (actually fascinating) behind-the-scenes look, but I’m really in Barrington for one reason: Nearly every local I’ve encountered up to this point has asked, “Have you been to yet?” And with good reason — they make bang-up versions of every imaginable lobster dish. Creamed lobster, a local specialty usually reserved for holidays and special occasions, is decadent and shareable. Lobster poutine, cheese curds and all, gives new meaning to the words “comfort food.” Their lobster roll has won awards. But if you’re going to have a classic, steamed-lobster lunch, this is the place to do it. It’s so fresh, so sweet, and so perfect that you don’t even need to dip it in butter. I stop for lunch at to try their new lobster pizza, because it turn out sharp cheese tastes just right with sweet bits of lobster. At the front of the cafe, I peruse coffee from local roasters and Nova Scotian specialties like oatcakes and cured meats. As I pass through Mahone Bay, I’m a week too early to try ’s lobster-infused beer, Crustacean Elation, at their local taproom. Still, Mahone Bay and neighboring Chester are worthy pit stops. Both towns are absurdly scenic and charming, and have cute places to shop and get coffee. Back in Halifax, I beeline to . The dimly lit bar serves Nova Scotian oysters (so fresh and so clean), seriously impressive local, natural wines (who knew), and small plates (scallop dumplings). I’m on my second glass of when I realize I have five minutes to get to my dinner reservation. I get to without a minute to spare get right into it: dried sausage, cured in-house; mussels with chorizo in a creamy, saffron-laced sauce; the crispiest Brussels sprouts with sunchokes. Pappardelle with sous-vide lamb shoulder, a pasta dish that’s more broth-y than sauce-y, steals my heart. I eat every single bite and consider it a blessing that my room at the is an elevator ride away. “No room for dessert?” the server asks. “Call us if you change your mind and we’ll bring it to your room.” Bread pudding with sour-cream sauce and oranges? In bed? Don’t mind if I do. And you know I’ll be grabbing another bag of those lobster chips for the flight home. Tess is a writer and cook living in Queens, New York. You can follow her on Instagram at . She travels for the edible souvenirs.